Bernie Sanders is leading the pack. Here’s how to read the FEC filing tea leaves. Raising money used to be a behind-the-scenes part of politics. Now how much campaigns raise — and from whom — is a big part of the political message. This week, each 2020 campaign’s financial filings with the Federal Election Commission, the regulatory agency that enforces campaign finance laws, become public. In other words, we will know just how much this packed field of presidential hopefuls is fundraising, where they’re spending, who their biggest donors are, and more. Candidates have begun releasing selective pieces of information in advance of the Monday deadline. We already know that Sen. Bernie Sanders (I-VT) is leading the pack, hauling in $18 million in donations, and that Sen. Elizabeth Warren (D-MA) said she raised about a third of that. Some other campaigns aren’t talking about their fundraising numbers at all. But now campaigns can’t hide how they’re doing. Legally, they need to log a record of their finances for the first quarter of 2019, January 1 to April 1, and this is the first real look into the guts of their operations. Here’s what you need to know to read these early filings. There are always a lot of numbers flying around when these reports come out. Campaigns reveal three topline numbers. One is the total receipts, the sum of all the money they’ve raised and transferred to the campaign; another is total contributions; lastly is the campaign’s cash on hand. Obviously, the headline figure is the total amount raised — although in the first quarter of a cycle, it’s not exactly an apples-to-apples comparison because candidates announce at different times and some have had longer to raise money than others have. Candidates may also be transferring money from Senate or House campaigns to their presidential campaigns. 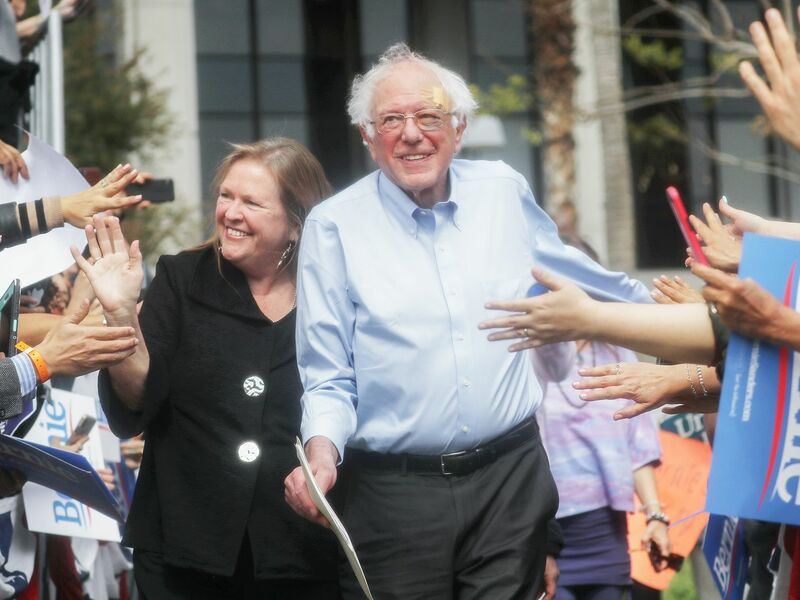 For example, while Sanders’s campaign has reported raising $18.2 million in contributions, it currently has $28 million in the bank, having transferred the additional cash from his Senate campaign. The total receipts figure can also be inflated by raising money for a general election simultaneously: Invitations seen by Recode for events for Sen. Amy Klobuchar (D-MN), for instance, show that she is at least sometimes raising up to $5,600 a head — primary and general election dollars — which could lead to a more eye-popping topline figure but isn’t relevant in assessing her competitiveness in the primary. Invitations obtained to Kamala Harris’s (D-CA) or Cory Booker’s (D-NJ) events, for instance, only show hosts committing to $2,800 checks, which means they’re only raising for the primary so far. While total contributors numbers can signal fundraising prowess and enthusiasm for a candidate, their “cash on hand” is the money that’s in the bank and can still be spent (it does not include outstanding debts). With candidates staring down two years of intense campaigning, what they have in the bank might make or break their competitiveness in the long run — but at this early point in the cycle, it’s really just about building a base of financial support. To keep that in perspective, by the end of the 2016 election, Hillary Clinton’s campaign had spent 98 percent of what it had raised, and Donald Trump’s campaign had spent 99 percent of what it had raised. The topline figure only tells you so much, though. There’s a big difference between campaigns backed primarily by maxed-out donors, who are not a well that can be tapped again and again, and small-dollar givers, who could power a longer race. A lot of campaigns like to play games that spin with how much of their money comes from the latter. Here’s the conventional gold standard: What percent of the total money raised comes from increments less than $200? We know the sum of those donations from the line that shares the total number of “unitemized” contributions in the FEC reports. Watch out for campaigns that parrot the percentage of their contributions that are less than $200 — which isn’t the same statistic (for instance, what if 50 people gave $1 but then one donor gave $2,800?) The sometimes self-reported “average contribution” figure can also tell you something. And here’s why this all matters: If a campaign is funded primarily by $2,800 checks, then sure, it might have a burst of initial money, but unless those rich people are preparing to tap their network and bundle donations from other rich people (which they might! ), it’s hard to keep that pace over a year-long primary. Compare that to a network of small-dollar givers who are willing to give $50 every month, or every time you have a viral moment, or every time you win a primary or caucus. Having more money than less is better, but all other things being equal, candidates want fundraising numbers that look to be sustainable. 3) Are a lot of people donating? Even if campaigns can’t boast the biggest topline numbers, some are already bragging about how many contributors they have. In many ways, this is the most important metric in the packed Democratic primary, where each candidate wants to show they have the biggest base of support in the field. If you’re looking for an early read on candidates’ breadth of support that can’t be captured in polling, the total number of contributors (importantly, not contributions!) is a pretty good metric. In fact, reaching the threshold of 65,000 contributors is one of the criteria to qualify for the Democratic primary debates. And they were right — Sanders so far has been dominating the Democratic primary in terms of total donors, announcing 525,000 individual contributors. To be sure, not all donors are created equal. We’ll also be scouting the reports for any particularly notable names who have cut major checks to Democratic candidates since it shows how some elites are judging various aspirants. Has Booker succeeded in turning his Silicon Valley connections into boldfaced backers? Do Sen. Kirsten Gillibrand’s (D-NY) ties to Wall Street financiers still pay off? And how many of the Democratic Party’s most established megadonors — think George Soros, Tom Steyer, Michael Bloomberg, or Dustin Moskovitz — remain on the sidelines in this sprawling field? With very few candidate-specific Super PACs and more ability than ever to raise money online, money from these donors doesn’t always mean what it once did. But support from high-dollar donors is revealing of both whom the party establishment sees as its candidate and who could have staying power in the race even if they fall out of the mainstream conversation and can no longer draw on small-dollar donors. Some of the most interesting data in FEC reports is the revelations about how various campaigns are spending their money — snapshots into the guts of how a campaign is organized and what it’s prioritizing. How big a staff has a candidate built? Which previously hidden Democratic heavyweight is quietly on the payroll of a campaign? And yeah, you might be raising tons of money, but are you spending tons to raise it with costly list rentals or consulting fees? That last question reveals a so-called “burn rate,” or how lean an operation runs. Early on in a race, you generally want to see a thrifty operation that is spending money responsibly. But what the cash is being spent on also matters — is it on field operatives who directly engage with voters, or television ad makers pulling in pricey monthly retainers? The politics of money in politics has shifted dramatically over the past two election cycles. In 2016, Republicans and their allied Super PACs raced in a dollar-for-dollar, donor-by-donor rivalry to build the largest possible war chest during the primary. Then-candidate Trump made waves by claiming to self-fund his Republican primary campaign — and beat them all. By the end of the 2016 presidential primary, the country was well aware that Sanders’s average campaign donation was $27. Sanders popularized running without corporate PAC donations — something almost all 2020 contenders have felt pressure to conform to. It helps that that’s an incredibly politically popular talking point; a 2018 Pew Research Center report found that an overwhelming majority of Americans — 77 percent — thought there should be limits on the amount of money “individuals and organizations” can spend on political campaigns. Sixty-five percent of Americans said new laws should be written to reflect that. House Democrats, when they took back the majority in 2018, even made campaign finance reform their first piece of legislation. That said, this has been a push and pull in the Democratic Party at large. In 2016, the Democratic National Committee did away with the Obama-era ban on corporate PAC donations. The DNC voted against reinstating the ban for the 2020 presidential cycle. The 2020 candidate’s first FEC filings is an early look at how they are translating this rhetoric around money and politics into actual campaign practice.